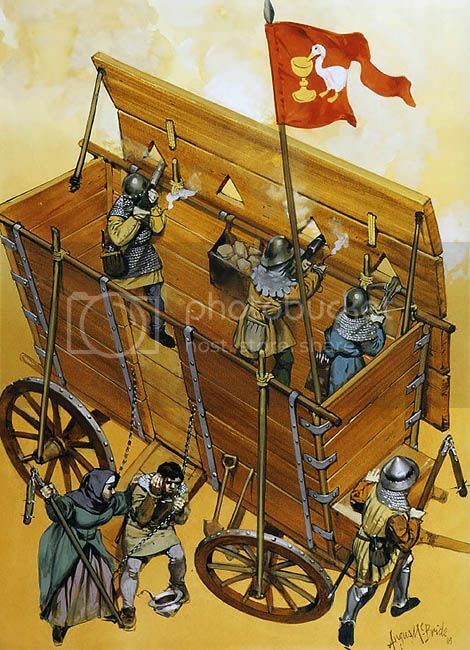 The war wagon was a medieval development during the Hussite Wars around 1420 by Hussite forces rebelling in Bohemia. 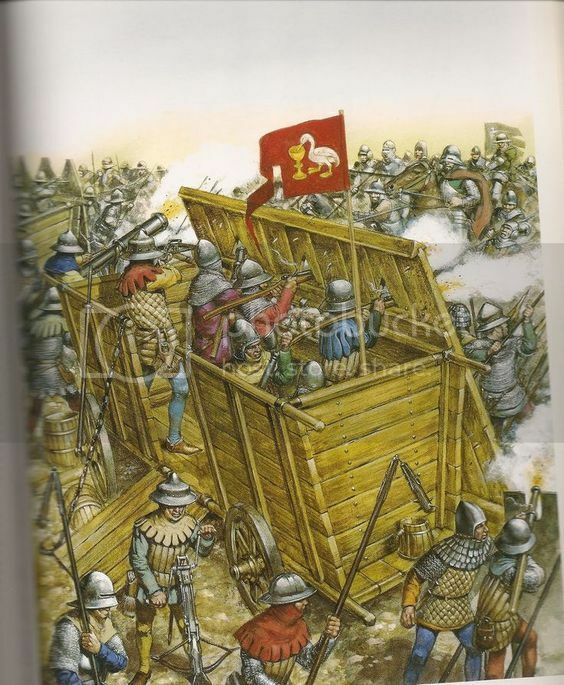 It was a heavy wagon given protective sides with firing slits and heavy firepower from either a cannon or a force of hand-gunners, archers and crossbowmen, supported by infantry using spears, pikes and flails. Groups of them could form defensive works, but they also were used as hardpoints for Hussite formations or as firepower in pincer movements. 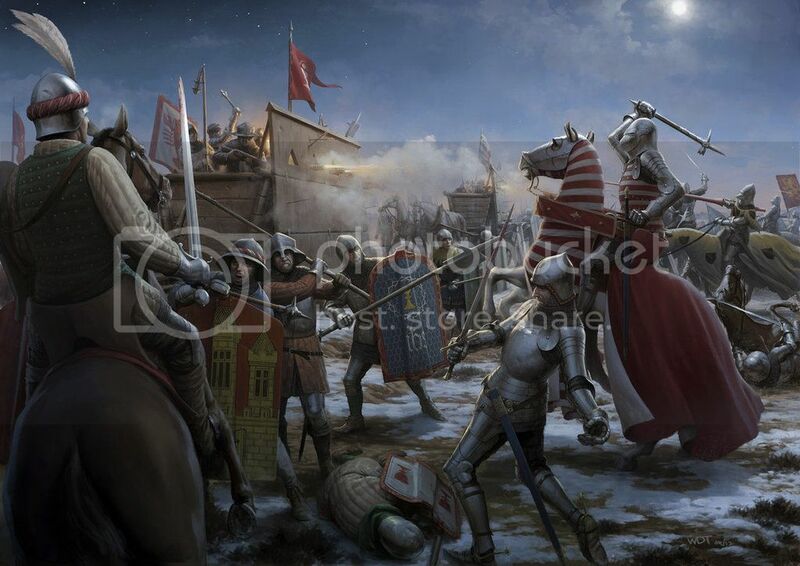 This early use of gunpowder and innovative tactics helped a largely peasant infantry stave off attacks by the Holy Roman Empire larger forces of mounted knights. After the Hussite wars, they stayed in usage as the special tactical weapon of bohemian mercenaries which prevailed against knights or foot soldiers. Its successful history came to an end, at least for large scale engagements, with the development of artillery: a battle wagon wall "fortress" of appr. 300 wagons was broken at the battle of Wenzenbach September 12, 1504 by the culverines (early canons) and muskets of the landsknecht regiment of G. Frundsberg. Huh! What you can learn on FGM. All this time I thought John Wayne invented the War Wagon.